For example, people in the U.S. underestimate by about 11 percent the portion of our total energy that comes from oil, and overestimate by more than 10 times the amount of energy the country draws from solar power, according to the Makovsky Energy Report. However, most Americans realize energy efficiency is vital, and 73 percent say energy-efficient technologies are an important solution for the future, the report found. Alvin Lee, Regional Account Manager at Brewer Science, agrees improving the energy efficiency of technology is key toward building a better future for everyone. He addressed how thin wafer handling for fan-out wafer level packaging (FOWLP) is helping innovate more energy-efficient devices when he spoke at the recent “Advanced Power Module and Automotive Packaging Technology Symposium” in Taiwan. Global challenges like extreme storms, natural disasters, increasing energy demands, climate change, greenhouse gas emissions and population increases affect the semiconductor industry, Lee says. With more than half of CO2 and other GHS emissions coming from electrical generation, transportation and the residential sector, it’s imperative for semiconductor manufacturers to improve the energy efficiency of every chip they make. Currently, 87 percent of the nation’s energy is generated through the use of fossil fuels, according to the Makovsky report. Just 3 percent comes from renewable sources such as wind and solar power. Yet, Americans tend to overestimate our use of renewable energy, and underestimate our dependence on fossil fuels — all of which could contribute to consumers’ ignorance about just how much energy gets consumed by the electronic devices they use in their everyday lives. As demand for more versatile, faster and powerful microchips has grown exponentially over the past decade, the semiconductor industry has turned to innovative packaging techniques such as wafer-level packaging (WLP) to bundle more power into smaller microchips. However, with standard WLP, chips have input/output terminals on their surface area, which limits the number of interfaces the chip can make. FOWLP takes standard WLP a step further, providing a smaller package footprint and higher input/output for semiconductors that need a higher number of external contacts. FOWLP embeds multiple die in a mold, with microspaces between each layer of the package that allow each die to have additional connection points. Initially WLP was expensive, but as the technology has advanced, it’s become cheaper and more commonplace. Now it’s a standard practice in semiconductor manufacturing — and it’s a practice that’s not just good for a device maker’s objectives. It can also benefit efficiency goals, Lee says. “Fan-out wafer-level packaging is not just a way to make better products, it’s also a way to help make the world a better place by improving energy efficiency and reducing emissions,” he adds. 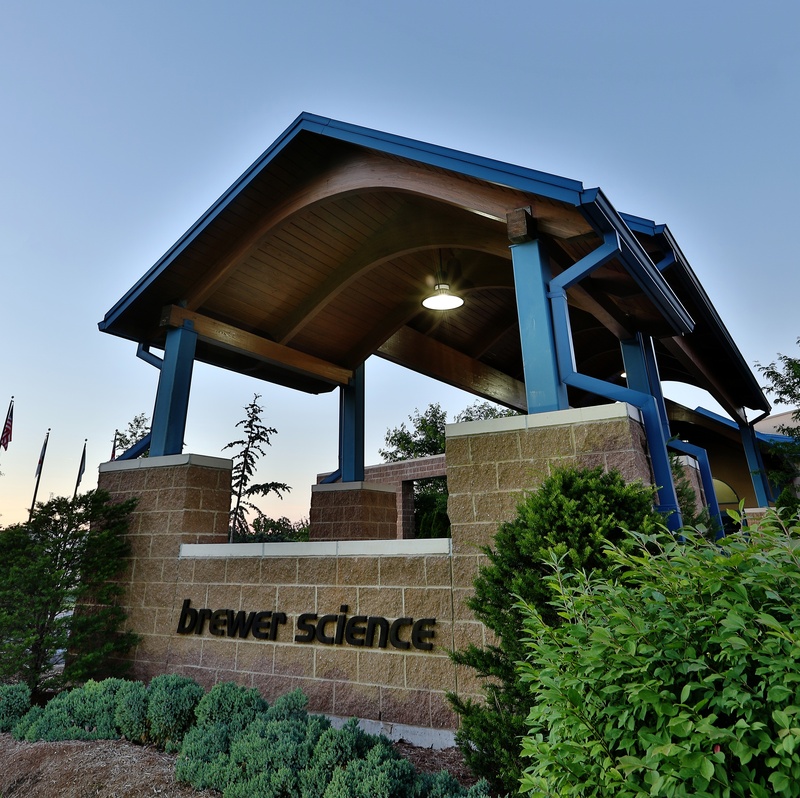 Contact Brewer Science at info@brewerscience.com to learn how we can help you invest in your future using FOWLP.